Size: approx. 20 mm. Photo: 08/13/11, 10 am. 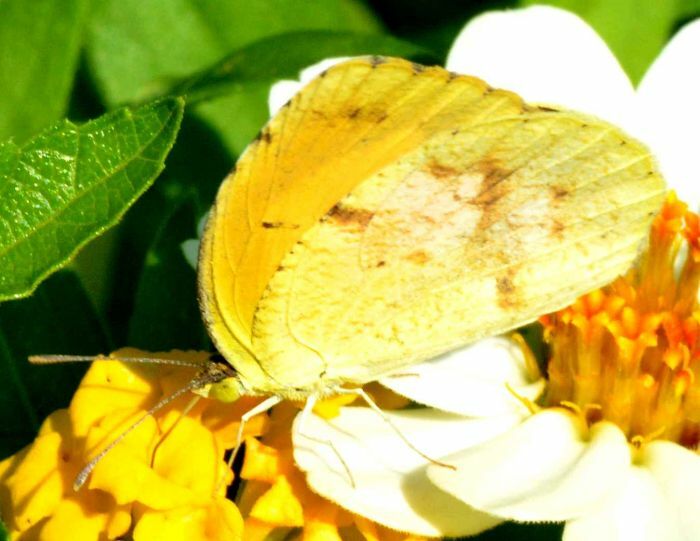 The Sleepy Orange (Abaeis nicippe) is a very common, brightly colored butterfly. Males have fewer dark markings than females. The second link has excellent information on the different color variations throughout the year. 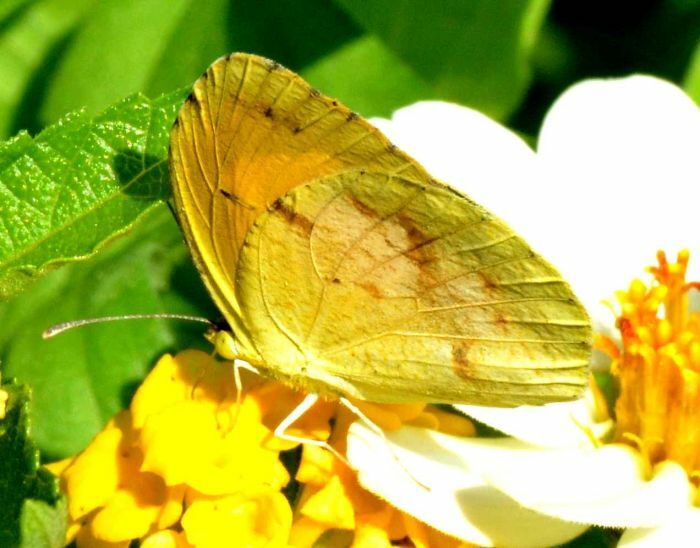 The butterflies in this family (Pieridae) are usually called 'whites' or 'sulphurs'.